Panay Island is the gateway to Boracay, the Philippines’ most famous beach destination. 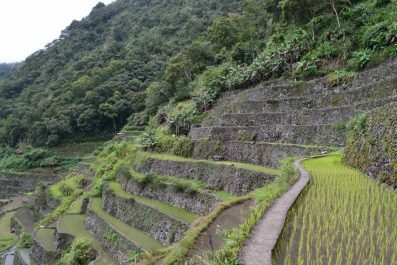 However, not many people know that Panay itself is a destination in its own right and has so much to offer. If you have 7 days in Panay, you may choose to explore its 4 provinces – Aklan, Antique, Iloilo and Capiz. With our 7-day suggested itinerary, you would have a real taste of this charming island and you will be introduced to its best attractions. You can absolutely make any changes you like, to adapt the tour to your preferences. Language – The national language was labeled Filipino to acknowledge and embrace the existence of many English and Spanish-derived words. In the islands included in this itinerary, the locals speak regional languages, which include Tagalog, Cebuano, Hiligaynon and Ilonggo. English is emerging, especially in some popular destinations like Iloilo and Boracay, so you can get by without learning the language. However, speaking at least some Filipino phrases or words or attempting to learn is greatly appreciated by the locals. Social norms and etiquette – Being a Spanish Colony for over three hundred years and being under the United States for 50 years, foreign values have been adapted by Filipinos in their own peculiar fashion. For a foreign traveler, it is important to know that Filipinos, like most Asians, stress public harmony and overt conviviality. Any indication of conflict is readily buried and confrontation is frowned upon. Filipinos are extremely tolerant people, and are generally happy, generous and gregarious. 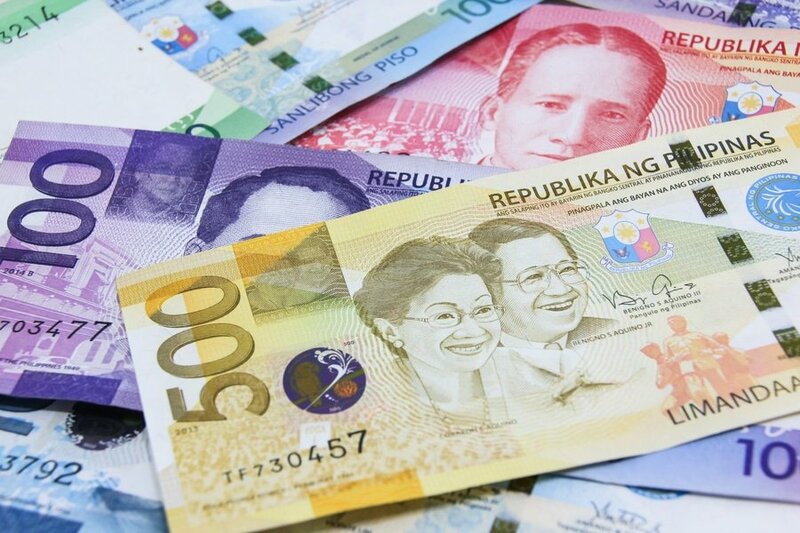 Money and costs – The official currency of the Philippines is the Peso (₱). Exchanging money in the Philippines is easy and follows the same standard to elsewhere in Asia. The Philippines is well serviced by a mixture of local and international banks offering widespread ATMs and online services. International credit cards, such as Visa, MasterCard and American Express, are widely accepted at big establishments. Make sure to bring Philippine peso if you are traveling to rural or remote areas. Accommodation – The Philippines has a wide range of accommodation options, with something for every level of comfort and budget. Budget hotels, bed and breakfasts, youth hostels and guesthouses, luxurious beach front resorts and villas are aplenty in the islands of Iloilo, Capiz and Antique. In Iloilo, there are plenty of hotels, budget hostels, inns, guesthouses, lodgings, and homestays located in the city. 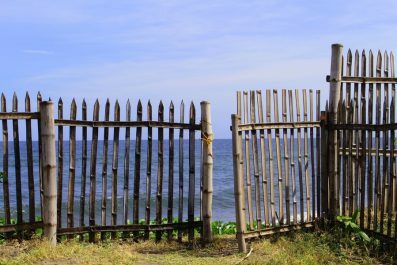 In Capiz, choose a beach resort in Roxas City to get spectacular views of the beach and the ocean. 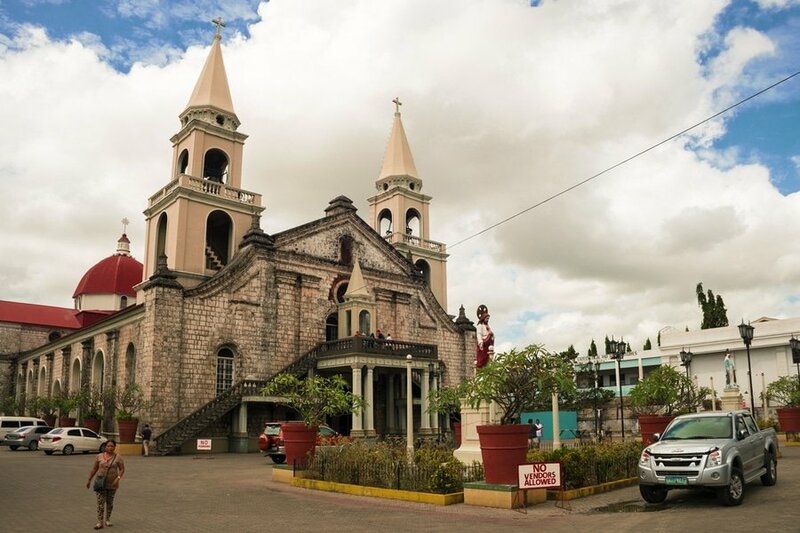 In Antique, most accommodation options are located in the towns of Tibiao and Pandan. Getting around – Getting around the Philippines and taking public transportation might be a shocking experience to foreign visitors. 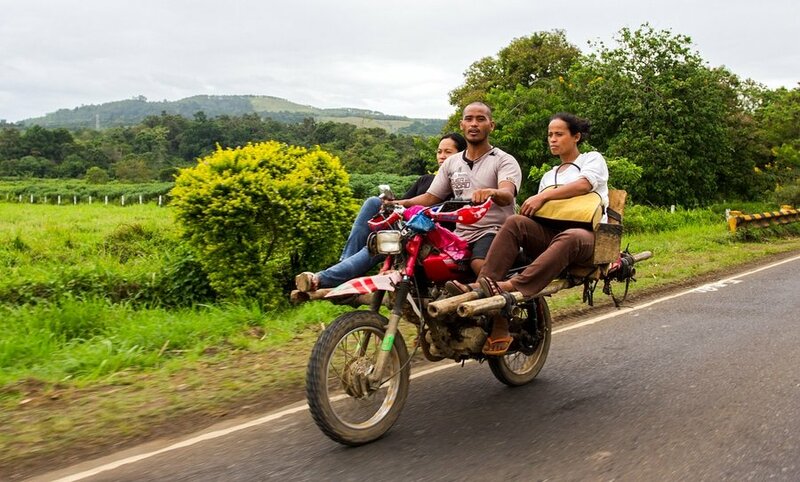 Transportation options include local buses, jeepneys, habal-habal (motorcycle taxi) and tricycle. For long-distance travel, there are frequent flights, RORO (Roll On Roll Off) and overnight buses. For island to island travel, there are scheduled local boats and chartered boats. If you want the most flexibility in exploring big provinces like Iloilo and Antique, then you may rent a motorbike for about 350 to 500 pesos per day and explore by yourself. Assuming you had to cross an ocean to get to Manila, your first day will be rife with jet lag. Take a flight that arrives in Manila as early as possible or stay overnight in to your preferred hotel/hostel if you arrive later in the day. 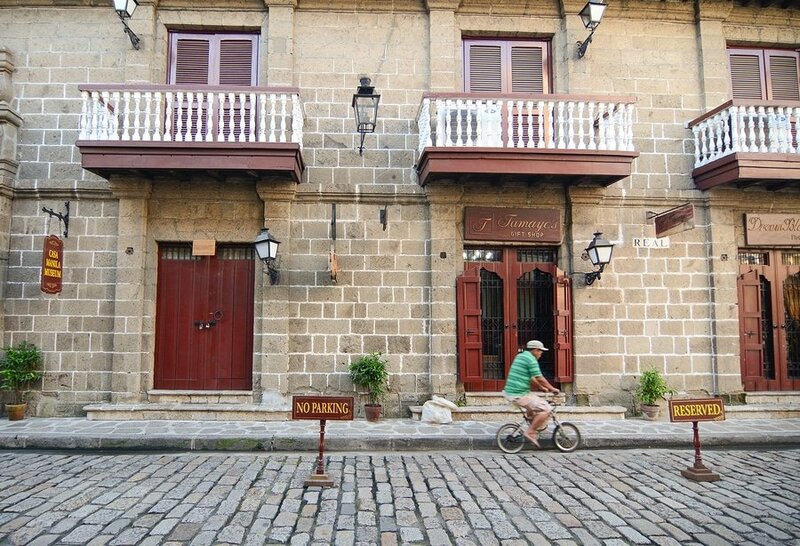 To walk off your jet lag, walk around Manila’s ancient walled city of Intramuros. You may join Carlos Celdran’s Walk this Way tours of Intramuros. Tour fee is PHP 1100 for adults and PHP 350 for children (3-5 years old). You may also try Bambike Ecotours of Intramuros where visitors will be riding through the streets on bamboo bikes that have been handmade by Gawad Kalinga villagers in the Philippines. Ecotours costs PHP 1,200 (24 USD) inclusive of bike, helmet rental, bottle of water and entrance fees. After your historic tour of Intramuros, take a short domestic flight to Roxas City, the capital of Cadiz Province. The Philippines’ main international airport in Manila is plagued by congestion, so make sure travel to the airport 3 to 4 hours before your scheduled departure. After your arrival at Roxas Airport, check into your preferred hotel/guest house. The airport is conveniently located in the city and getting to the town proper of Roxas will only take approximately 15 minutes depending on traffic situation. Don’t get out of Roxas City like most tourists do because the capital boast a few wonderful attractions. Some of the attractions you can visit on this day are the Manuel Roxas Ancestral House, Roxas Cathedral, Panublion Museum, Roxas City Bridge (Old Capiz Bridge), and Baybay Beach. No trip to the province of Capiz would be complete without going on a gastronomic adventure. To sample the freshest seafoods in the city, head to Baybay Seafood Court, Raffy’s Bistro, Spanggo Cafe & Pasalubong, and Cafe Terraza. Islas de Gigantes (Island of the Giants) is located in the northernmost part of Iloilo. In this small, sleepy little town, you will find pristine white sand beaches, stunning islands and rock formations, mystical caves, and bountiful fresh seafood. There are only a few accommodations in Gigantes Norte Island, so it is guaranteed you will have a quiet and relaxing stay. You can laze around all day, spend your afternoon in a hammock reading a book or avail island tours. What are the best things to do in Isla de Gigantes? You can take island tours to Tangke, Bantigue Island, Cabugao Gamay Island, Antonia Beach, and Pawikan Cave. Gigantes is also a perfect place to sample freshest sea foods, from lobsters, squid, crabs, tuna, abalone, sea cucumber, squid, octopus, and many more. How to get there: From Roxas City, board a bus going to the towns of Carles and Estancia, the main jump-off points. From there, you can either take a passenger boat or arrange a charter boat to the island. Total travel time from Roxas City is 3 to 4 hours. On your fifth day, catch the dynamic colors of the morning sun at the beach. Take a one last whirl of the island before you board the boat back to Carles or Estancia. Then, board a bus or jeepney to Iloilo City. Assuming you traveled in the morning, you will probably arrive at your accommodation just before lunch time. Enjoy a sumptuous lunch at Smallville before you take in a few historic sights in the city. Iloilo is said to be the original title holder of the Queen City of the South. Cebu City now holds this title for reason of economic progress. But during Iloilo’s heyday in the late Spanish colonial period, the city was very wealthy due to the development of the sugar industry in the province and the nearby Negros Islands. The many wars witnessed by the city heavily damaged the infrastructure and thus resulted to the local economy’s decline. There are, however, some Spanish-colonial churches and ancestral houses that survived the turbulent times in city. Some that you can visit on this day are the Jaro Cathedral, Calle Real, Molo Church, Lizares Mansion and Bahay Camiña nga Bato. 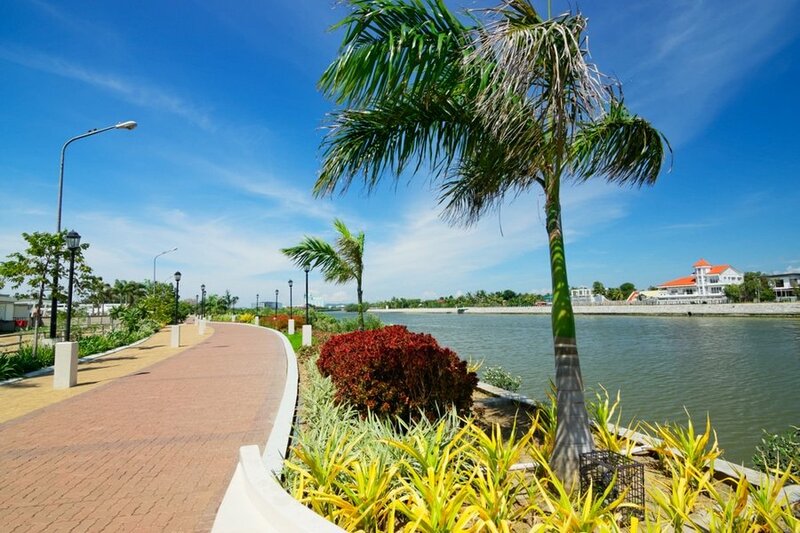 End the day with a walk along the Iloilo River Esplanade. Wake up early on Day 5 and join the local runners and speed-walkers at Iloilo River Esplanade. It’s a great way to start the day and meet up with friendly people of Iloilo. Enjoy a quick breakfast at one the local carinderia (small family-owned restaurant) before your depart for Antique. How to get there: From your accommodation in Iloilo City, charter a tricycle to Molo Bus and Van Terminal. At the terminal there are several buses and vans enroute to Antique. Get off at Tibiao, Antique. Travel time is approximately 3 hours. The province of Antique is not a very popular destination among foreign travelers as well as local tourists. Since the old days, Filipinos associate Antique with the scary folkloric characters like the aswang and manananggal, and still to this day many people prefer not to visit the province. Myths and legends aside, Antique boasts beautiful beaches, rivers and spring, waterfalls, lush forests and friendly people. There are plenty of things you can do in the province but the first thing on the list of most visitors is the Kawa Hot Bath in Barangay Tuno in Tibiao. The Kawa (huge metal basin) is filled with water, which is then heated by the firewood beneath it up to your desired temperature. 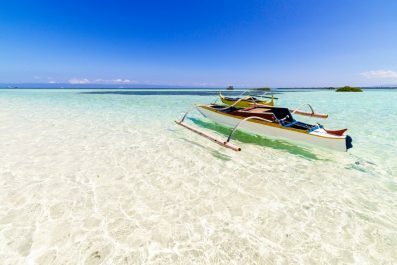 Have you been to Panay Island or anywhere else in the Philippines? Do you have any tips or suggestions to share? If so, you can leave your comments below. Mindinao is the best place to live in phil. Just stay away from tourists. Where do you recommend renting a motorbike in Iloilo? You can check with EVO E-Bike Iloilo – Santellen Bldg., San Pedro St, Tabucan, Iloilo City, Philippines 5000 (tel: +63 33 323 5623). They are a bike shop but they might be able to help you or at least put you in contact with somebody that is willing to rent out their own equipment. Hi, This is a good read and nice article. This is a fascinating adventure of travelling the Panay Island for only 7 days and even able to visit most of the top place to visits in every province. Btw, thanks for listing us as one of your recommended place to stay in Roxas City.